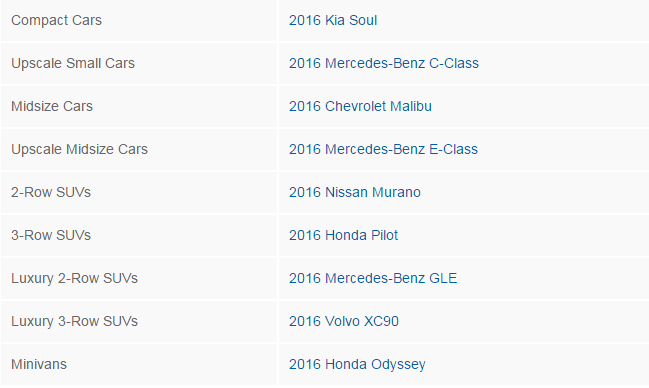 Honda has compiled a huge list of awards, accolades, and ratings for Honda’s world class vehicles. This entry was posted in Civic Articles, Insight Articles on January 15, 2015 by Administrator. Washington — Seven Japanese automakers led by Toyota Motor Corp. and Honda Motor Co. topped Consumer Reports’ annual auto rankings of 26 brands. Fourteenth place was the best that any Detroit automaker fared. The magazine unveiled its influential 2013 annual auto ratings issue Tuesday in Washington, saying Toyota’s Lexus unit was the top overall brand, with all of its vehicles recommended. It was followed by Subaru and Mazda, which tied for second; and Toyota and Acura, which tied for fourth. All U.S. brands were in the bottom half of the rankings. Fewer than half were recommended by the magazine, and most were from General Motors Co.’s GMC and Chevrolet brands. And for the first time since at least 2008, Consumer Reports choose no U.S. vehicles among its top 10 picks. The magazine chose not to pick a top pickup because redesigns of Chrysler’s Dodge Ram — Truck of the Year at the Detroit auto show last month — and GM’s Chevrolet Silverado haven’t been tested. The highest-ranked U.S. brand was GM’s Cadillac unit, which tied Hyundai for 14th out of 26 brands. Cadillac’s standing came largely on the strength of the CTS. GMC and Chevrolet were in a three-way tie with Volvo for the No. 17 spot; Buick was 21st. Ford Motor Co.’s Ford brand was ranked No. 23, followed by Lincoln at 24. 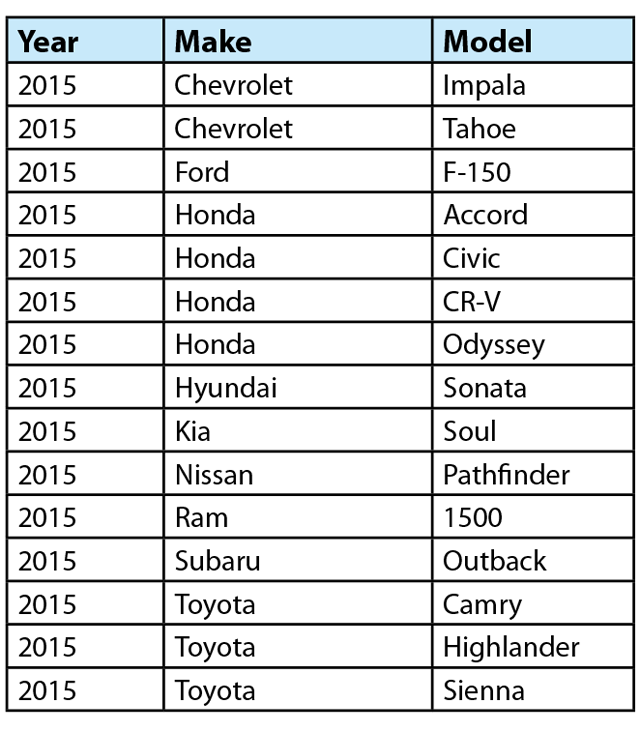 The Dearborn automaker had just five of 16 models tested that were recommended. Consumer Reports said Ford’s rankings were dragged down by MyFord Touch and MyLincoln Touch control interfaces that the magazine says are difficult to use. It also criticized some new manual transmissions and EcoBoost engines that didn’t meet performance expectations. “That’s unfortunate, because many of Ford’s new models ride and handle as well as European luxury cars costing much more. And Ford’s latest hybrids, the Fusion Hybrid and C-Max, are impressive,” Fisher said. Ford said other surveys show it is making progress. “J.D. Power and other third-party results validate our own internal metrics showing isolated areas for improvement — primarily with MyFord Touch and PowerShift automatic transmissions,” the automaker said. The Chrysler brand was in the 22nd spot. Its Jeep and Dodge lines were at the bottom of the rankings, at No. 25 and No. 26. Chrysler had three recommended models. The only recommended Dodge is the Durango SUV; the only recommended Jeep is the Grand Cherokee. The magazine for the first time ranked individual auto brands rather than the overall automaker. Ratings are based on feedback from 1.2 million owners, Consumer Reports testing and other factors. This entry was posted in Insight Articles on January 15, 2015 by Administrator.